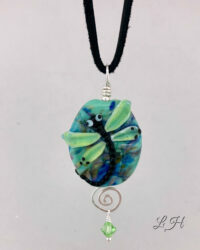 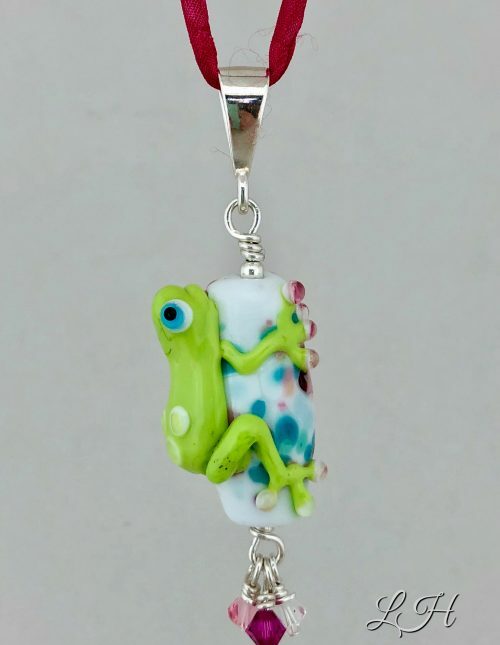 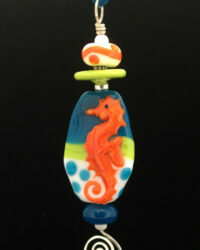 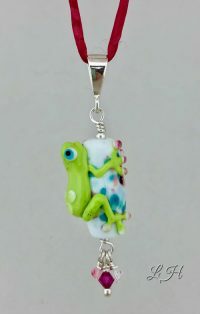 Cute lampwork Frog necklace. 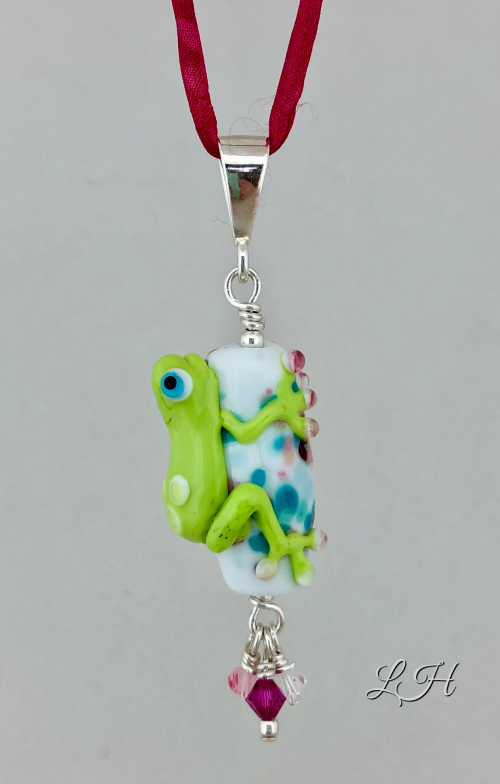 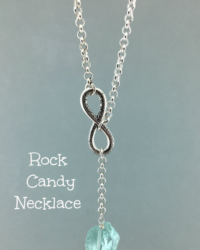 Finished on sterling silver and Swarovski crystals. 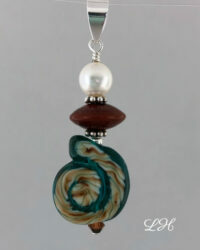 Hung on an adjustable silk ribbon.